I couldn't be happier with my visit with Dr. Zamora. Going to the gynecologist is never a fun trip, but everythingwith this visit, start to finish was an ease. The front desk staff is friendly, I was seen right away. Dr. Zamora took the time to listen to my questions and concerns. Great bedside manner and talked me through everything. Upon leaving, the staff checked to see if there was anything else they could do for me (set up an appt) and validated parking. Great office and Dr. Zamora is the best! I couldn't be happier with my visit with Dr. Zamora. Going to the gynecologist is never a fun trip, but everything with this visit, start to finish was an ease. Thefront desk staff is friendly, I was seen right away. Dr. Zamora took the time to listen to my questions and concerns. Great bedside manner and talked me through everything. Upon leaving, the staff checked to see if there was anything else they could do for me (set up an appt) and validated parking. Great office and Dr. Zamora is the best! Everyone was friendly, Dr. Zamora was great, took the time to listen to me, wasn’t rushing, i would definitely recommendher. 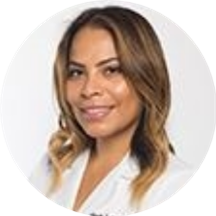 Everyone was friendly, Dr. Zamora was great, took the time to listen to me, wasn’t rushing, i would definitely recommend her. Doctor Zamora was super kind and very bubbly. I think she could somewhat sense that I was anxious, and ended up talking me through every step of the entire process, which distracted me from any discomfort. She was thorough and quickand made me feel as comfortable as possible during a routine pap. I really appreciate how personable and warm she was in such a vulnerable atmosphere. I would definitely recommend visiting her if you want a doctor that clearly cares. Very comfortable and quick! I was dreading my first time going to a woman’s doctor but this visit made me feel so at ease and unafraid. Very personable and friendly! The staff made me feel right at home. A great office! There was one lady that was very rude in the front... she was on her phone as I was trying to get information from her and proceeded to throw me some attitude because I decided to wait for her to finishwhatever was important on her phone. HOWEVER, Dr. Zamora and her nurses were super sweet, funny and very informative. Amazing staff and doctor, prompt and courteous service. She was very kind, warm, and professional. As a younger doctor, I found her easier to talk to than older physicians. The staff was very professional and didn't keep me waiting at all, wherever I was in the process.